Hey everyone I'm wondering if anyone knows of any custom handle makers around anymore. I am really wanting a custom handle for my blackbird but haven't had any luck searching around. 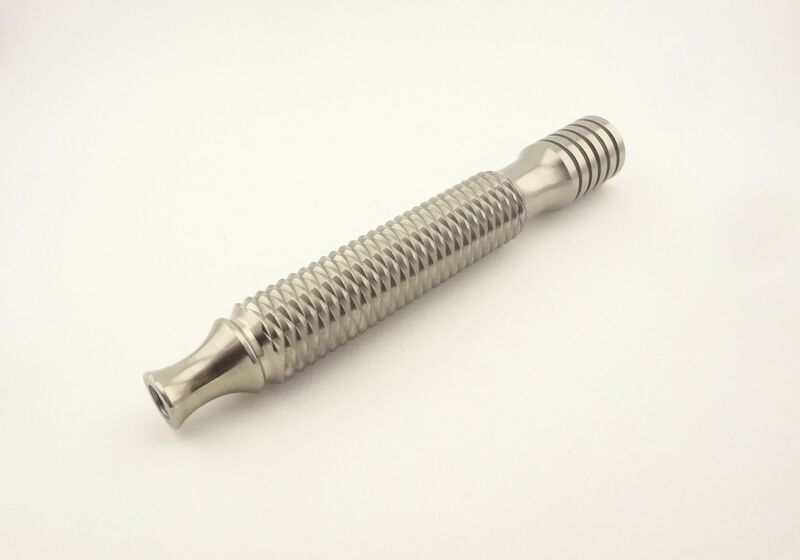 Blackbird handle is fine I just really prefer knurling over grooves and was also wanting it in titanium to cut weight. Any handle will work but they don’t have the extra material that goes inside the head. I use a WRH7 with mine and it works fine. You just have to remember when disassembling that there aren’t as many threads holding it on. Stork has a nice one. Haven't tried myself. Like vigilantesd, I use alternative handles like those from ATT with a thin nylon gasket to avoid wear. Well I have one of these coming in titanium modified to fit the blackbird and customized to my preferred size of 85x14mm for a very reasonable price from Russia thanks to a tip from a helpful member! Thanks for the suggestions. I have been using other handles as well and while I could not perceive any difference in the shave without the handle fitting into the groove I did worry that I may be stressing the wrong part of the baseplate when I torqued them tightly. Highly unlikely anything would happen to the baseplate but in any case problem solved thanks TSN! Some years ago Triad made some custom handles fitting the Blackbird head. These were made in small numbers and difficult to get your hands on. Stork offers custom handles in TI for the Blackbird razor from time to time. These are great handles, Taipan to the left, Anaconda to the right. Oh yeah, I forgot, Tibam is a good option as well. Having said that, i am not saying at all that the Tibam ones aren't good handle. Polishing on them might be great, but knurling take a lot more time. And the quality of knurling on the stork handle is beyond impressive! Well I switched it to this one but Tibam it is! Reached out to Stork no customs at the moment and I like the look of this one anyways. Well here it is it came out nice. I think it was $50 I cannot remember.... Ti handle makes this amazing razor even better for me! I much prefer the distinctive and cohesive look/feel of the stock handle:head, as conceived by Shane. I always assumed the razor developer matched the handle with the head for best balance and shaving angle. Using a different handle could alter that balance (better or worse depending on user). Ironically, I will be looking for a handle for a Seygus Zeppelin razor head (factory handle is too short). $55 seems to buy a nice handle from Above the Tie, Timeless (including titanium), Blackland, etc. (03-26-2019, 06:57 AM)Agravic Wrote: I much prefer the distinctive and cohesive look/feel of the stock handle:head, as conceived by Shane. I agree visually Ravi unfortunately. Problem is functionally for me the channel grip is slick for head shaving and the weight for me is a little heavy at 85mm. The shorty 70mm has a great weight but it's a little too short for head shaving. I always prefer knurling over channels for grip and the lighter weight of titanium in general. This handle gives me the knurled grip and at 88x15mm there's plenty to hold onto when reaching behind the dome. 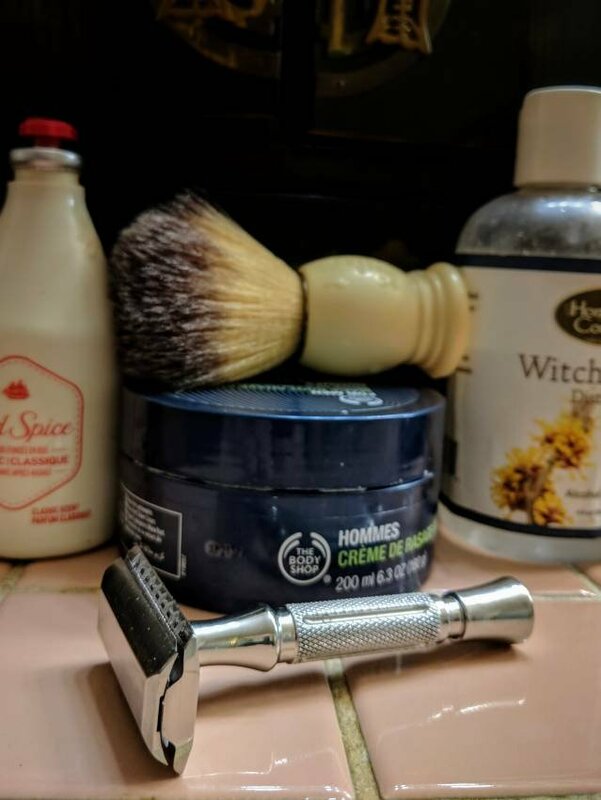 Plus this handle actually shifts the design to be head heavy which seems to have given me better feel and control with this particular razor which was unexpected but I'm loving it. So this handle is goldilocks for this head for me now and giving me even better shaves than before. My BBS-1 is exactly opposite for me though lol. 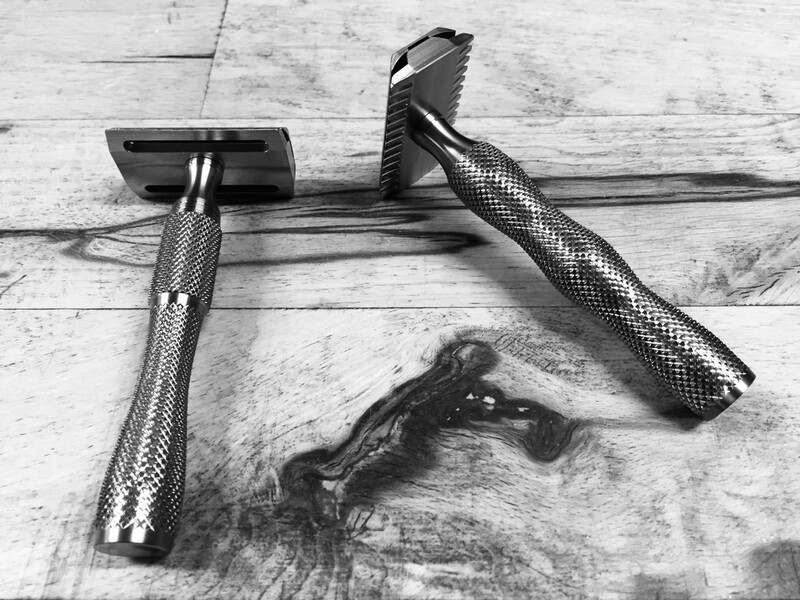 Favorite handle for that head is the stock or WRH1 which is a handle heavy design allowing for more manipulation of the shaving pressure. Oops guess I said that already. That's definitely a nice looking setup with the asylum I may have to grab a polished handle on its own from bullgoose. Btw hope the timeless is treating you as well as your old blackbird is treating me sir. I love it when trades end up leaving both parties happier than before! This is still my favourite razor so I don't blame you for forking out $50 for the new handle! Where did you get it from? What's the site? What's the handle like to shave with?